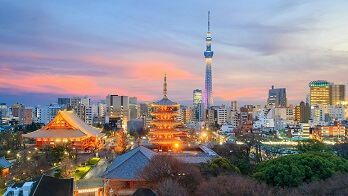 Best experience you had in Japan: Mr. Shimazaki's organization & coordination of each day's events ensured that we were able to pack in as much as we could. Keeping us on schedule was critical to making our experience. Excellent. Truly appreciate all the assistance and coordination. Mr. Shimazaki was a highlight of our trip, as he shared the history of Japan and pointed out important highlights of each landmark and or monument. The kids (&we) loved him! The quality, beauty, and excellence of the hotels was five stars. We also enjoyed the traditional Japanese hotels. There was a lot of variety. We were able to taste many new things, but also enjoyed the standard Japanese fare. Mr. Shimazaki was able to keep us together and on time. He was extremely knowledgeable, very coordinated, respectful, organized, and made everything run smoothly. He was invaluable to making our experience an unforgettable family event. We were able to visit so many different locations, shrines, temples, markets, traditional Japanese tea ceremony, etc. Truly appreciated the itinerary and variety.